For many years now, AAA Limousine has been catering to the demands of brides and grooms offering excellent packages, quality service and reasonable rates for your Dallas, Plano, Allen, Frisco Wedding Limo. Our SUV and Stretch limousine have left remarkable memories and photographs for our happy clients at their Dallas Wedding. At AAA Limousine, we understand that a wedding is not just an event, it is an experience that shapes your life forever. We know that the last thing a couple would like to worry about on their special day is whether or not their AAA Limousine will arrive on time. A professional chauffeur is the most integral part of the limousine service on your wedding in Dallas. AAA Limousine offers our clients the best professional chauffeurs who offer a high level of professionalism and are attired in proper suits to work with other professionals (planners, photographers & etc. 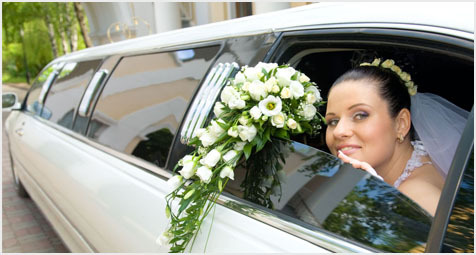 ), AAA Limousine has customized packages for your wedding limo in Dallas to fit within your budget.